Some years ago I was driving through Belgium somewhere in the province of Namur. I can’t remember exactly why, but it must have seemed a good idea at the time. I have a feeling that I was attempting to follow the River Meuse, which on reflection would have been more effectively achieved with a boat rather than a car. The river begins its five-hundred mile journey in France and flows through Belgium and the Netherlands before reaching the North Sea. Anyway, I eventually found myself in the charming Belgian town of Dinant which is dominated by the imposing Collegiate Church of Notre Dame. The town is famous for its flamiche, a local version of quiche but it also has the dubious distinction of producing the Couque de Dinant, claimed to be the hardest biscuit in Europe. Dinant is also noted for being the birthplace of Antoine-Joseph “Adolphe” Sax, born to a musical instrument maker in 1814. Within months the family moved to Brussels yet even as a child Adolphe began to design his own musical instruments. Unfortunately he was also somewhat prone to accidents and had several close encounters with death. These included being seriously burnt in a gunpowder explosion, falling into a hot frying pan, swallowing a pin, tumbling from a third floor room to the stone pavement below and being comatose for a week and on another occasion almost drowning in a river. Sax survived all these calamities (including two assassination attempts in adult life) and went on to invent many new musical instruments including the saxhorns, which later became better known as the flugelhorn, the euphonium and the tuba. Even so, he’s most closely associated with the saxophone which he patented in June 1846. It was partly based on an older brass keyed instrument called the ophicleide. Within a few years, Sax had designed an entire family of fourteen saxophones. Most of them have since become obsolete and only three remain in regular use: the alto, tenor and baritone. The soprano and bass saxophones are rarely seen. Strangely enough the first that Sax built was a massive bass saxophone, which evidently impressed composer Hector Berlioz who was amazed at its versatility, unique tone and presumably its elephantine dimensions. The saxophone was intended to have a smooth and mellifluous sound and this is the preferred tone quality for classical players, unlike the raucous honking favoured by some jazz and rock players today. Several notable composers have written concertos for the instrument, among them Debussy, Ibert, Milhaud, Hindemith, Villa-Lobos, Paul Creston and Philip Glass. Glazunov was born in St. Petersburg and was the son of a wealthy publisher. He began studying piano at the age of nine and started composing soon afterwards. In later years, he studied with Rimsky-Korsakov and went on to enjoy international fame. He was a prolific composer who completed nine symphonies and several concertos together with a vast array of orchestral works. This lyrical and rather melancholy saxophone concerto dates from 1934, towards the end of his life. It was his last composition but has becomes one of the mainstays of the saxophone repertoire. Although the music is deeply rooted in the Romanticism of the previous century the work has become part of the standard saxophone repertoire. Marcel Mule (1901-2001) is universally recognized as the greatest master of the instrument, once described as “the Jascha Heifetz of the saxophone”. In 1927, he formed the Marcel Mule Saxophone Quartet which was more of a challenge than it sounds, because at the time no music existed for saxophone quartet. 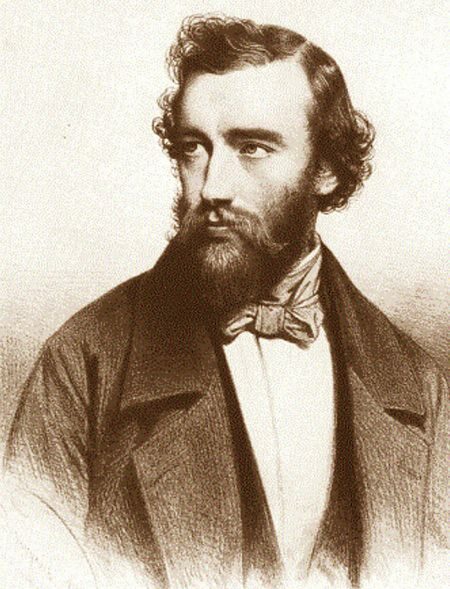 Undaunted, Mule began the task of writing arrangements himself and also encouraged many composers to write works for the instrument or the quartet. One of them was Gabriel Pierné, (Pee-EHR-nay) well-known in Paris as an organist and conductor. It was he, who conducted the world premiere of Igor Stravinsky’s ballet The Firebird. Pierné wrote the Introduction and Variations in 1934 and the music is elegant, charming and quintessentially French. These young musicians give an excellent and expressive performance of this delightful work and the baritone saxophone adds a sumptuous richness to the musical texture. As well as the saxophone, Belgium also gave the world French fries, although I suppose most Belgians are probably fed up being reminded. Belgium also gave us the contraceptive pill, the praline, the jpg conversion, and strangely enough, roller skates, introduced in 1760 by the Belgian inventor John Joseph Merlin. It is pleasing to imagine that as a child, the accident-prone Adolphe Sax might have used a pair of them to hurtle around the streets of Brussels.